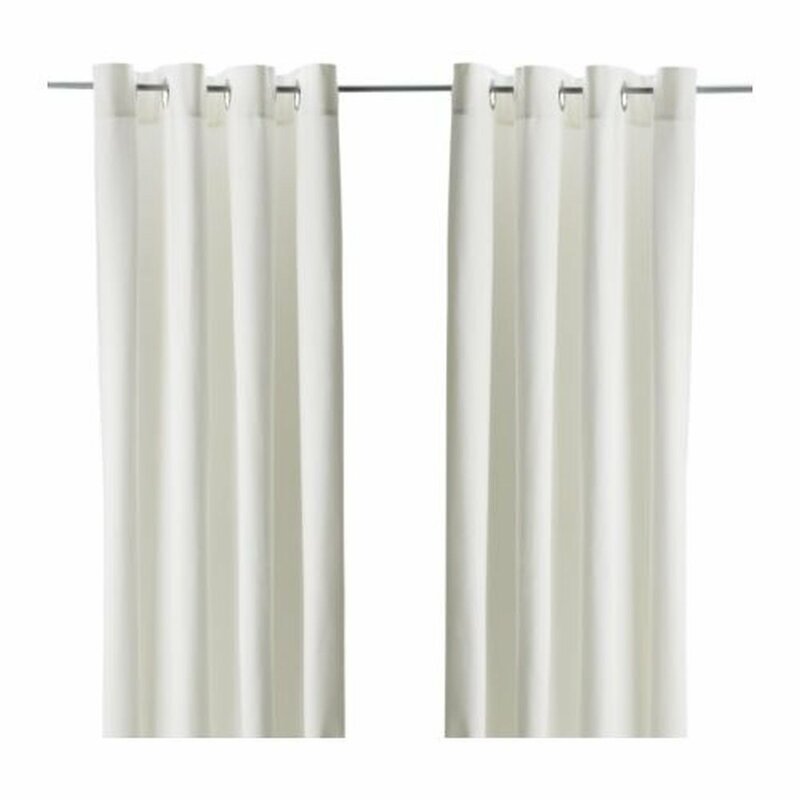 Brand new, in original IKEA packaging, pair (2 panels) of MERETE BLEACHED WHITE curtains from IKEA of Sweden. Gorgeous fabric. Gives a heavy, even hang. Great photography backdrop, too. Large eyelets/grommets at the top make hanging easy and gives the curtains a modern look. The curtains can be hung on curtain rods, wires or KVARTAL suspensions system. Each panel has a length of 98" (250 cm), and a width of 57" (145cm). Machine washable, cold water. 100% cotton. Very nice quality. - The thick curtains darken the room and provide privacy by preventing people outside from seeing into the room. - The eyelet heading allows you to hang the curtains directly on a curtain rod. - Effective at keeping out both drafts in the winter and heat in the summer. IKEA Vivan CURTAINS Drapes BEIGE 2 Panels greige 2017 98"
IKEA KAJSAMIA CURTAINS Drapes 2 Panels BLACK Eyelet Header 98"